I gave up meat but definitely couldn’t give up seafood. Tonight I sautéed onion, red pepper, thyme, green pepper, and olive oil. I added Patak’s curry paste to give it that taste of India curry. Then I added water and diced tomatoes. Once this blended I added large shrimp that were raw, peeled, and clean. I covered it only enough for shrimp to cook. 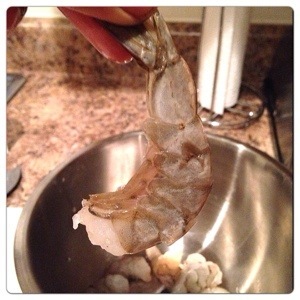 It’s important so that shrimp do not become chewy. 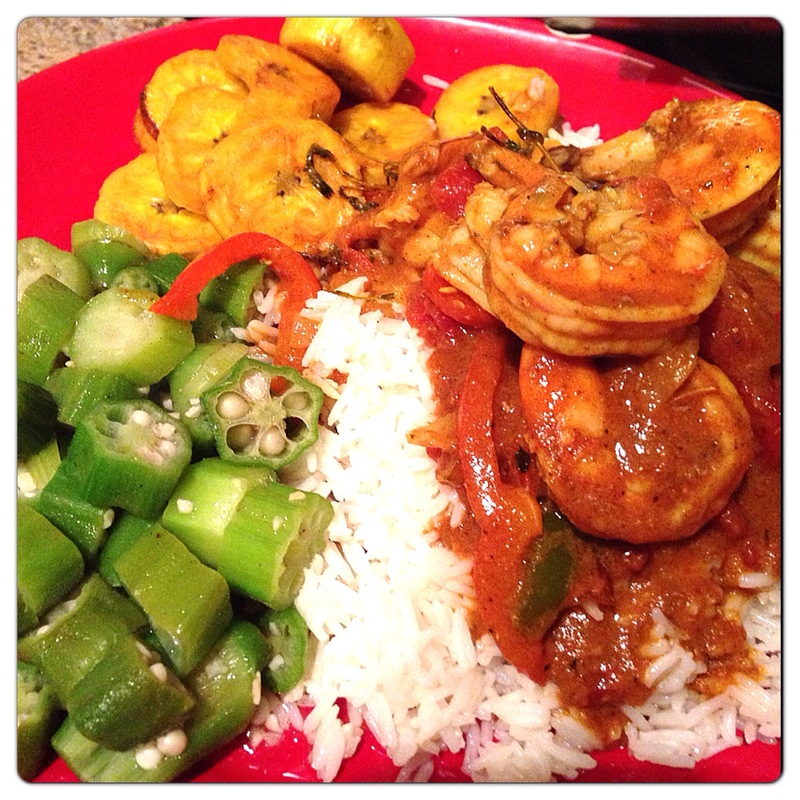 After this I poured it over basmati rice and served with a side of green plantain and okra. Yummy! 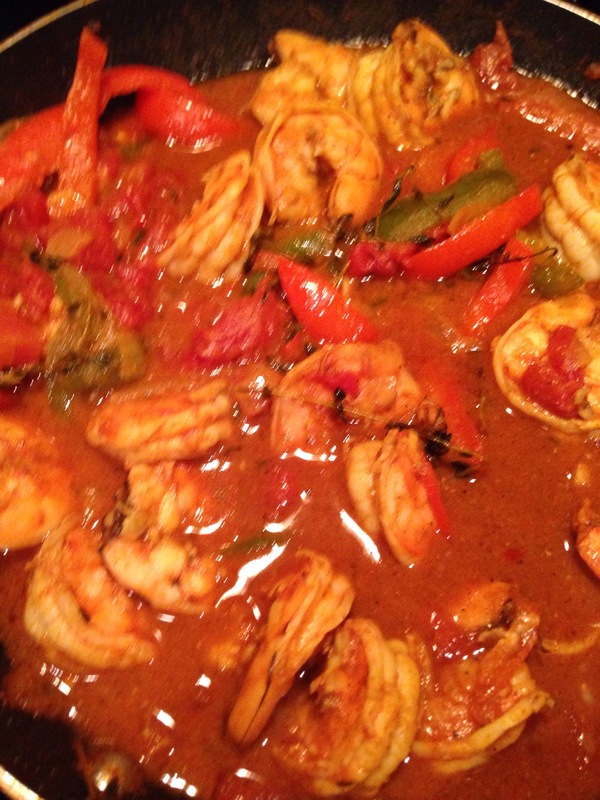 See older post on how to cook plantains and use of Patak’s curry paste. Yaaaay! Let me know how it comes out!!! Def get the curry paste!